About the largest chain of neighbourhood pet stores in Quebec! 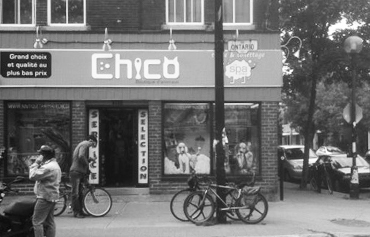 After 32 years of existence, Chico has succeeded in expanding to form a chain of more than 16 stores, while still retaining the friendly, family atmosphere of a neighbourhood pet store, the principal value of the company. Chico pet shops form the largest chain of complete pet stores in Quebec. They offer pet owners a full range of food, accessories, toys and services to take care of your dog, cat, bird, fish, reptile or rodent. You can count on Chico to stock the most reputable brands at very competitive prices! The adventure began! Pierre Charbonneau and Michel Joly opened their first pet shop on Taschereau Boulevard in Brossard. Pierre Charbonneau opened his first store in Montreal, on Ontario Street. Michel Joly opened another Chico store on Wellington Street in Verdun. The two stores were highly successful for several years! Until then a part-time employee, Mr. José Forest formed a partnership with Pierre Charbonneau; he became a franchisee of the company, inaugurating the Chico store on Masson Street in Montreal. Your neighborhood shop for 32 years already! Why not become a Chico pet shop franchisee! to learn more about our weekly promotions!